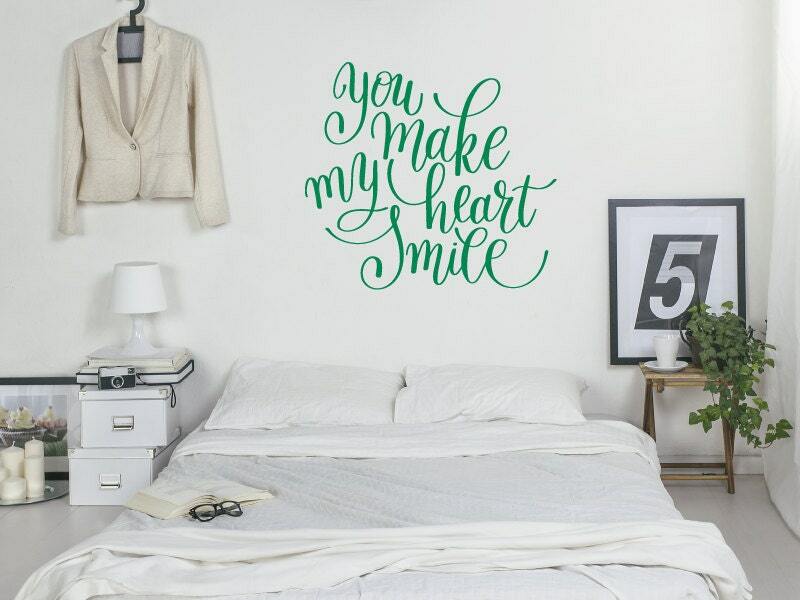 A beautiful wall decal quote "You make my heart smile", written in flowing calligraphy font. This motivational/love wall sticker quote will look fabulous on your walls, really completing a room and setting a feature point within the design. 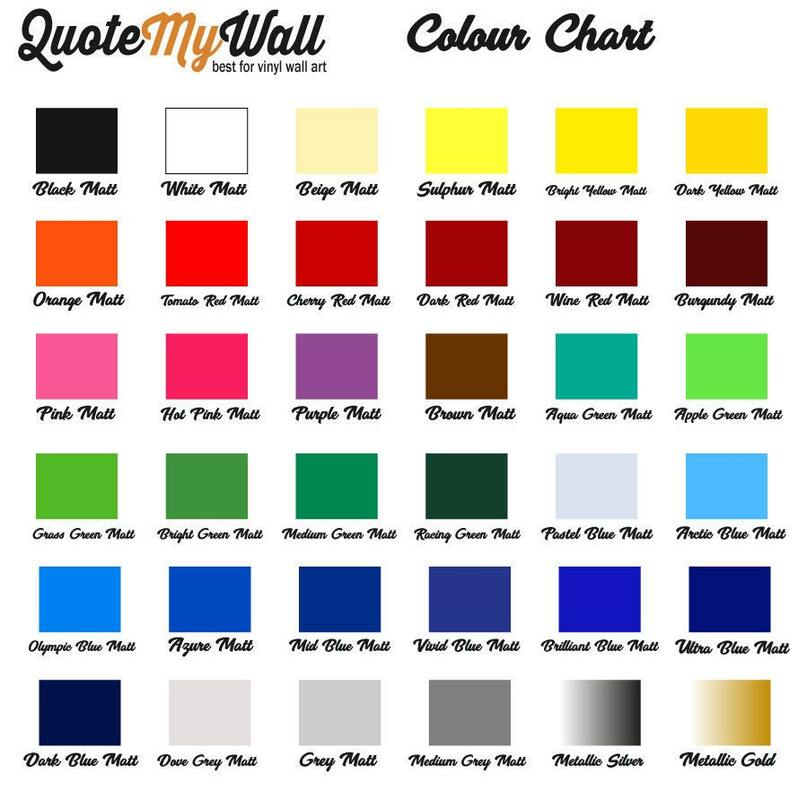 Colours used in images - black matt, medium green matt, dark red matt. ★ You will receive your order in a strong, hardened postal tube to ensure protection of your wall decal. Also includes easy to follow application instructions.